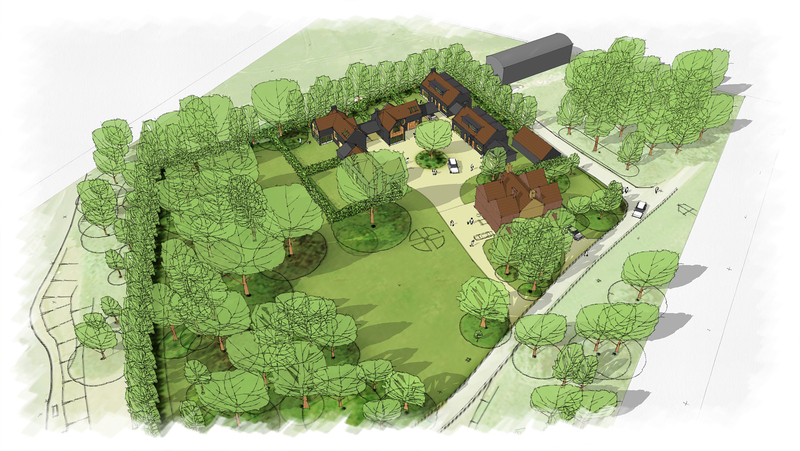 New development of 5 houses within a former farm. The site is currenlty occupied by a large dewlling house, with a swimming pool and garages, as well as a joinery workshop. The industrial use has become redundant over time and incompatible with the rest of the site. 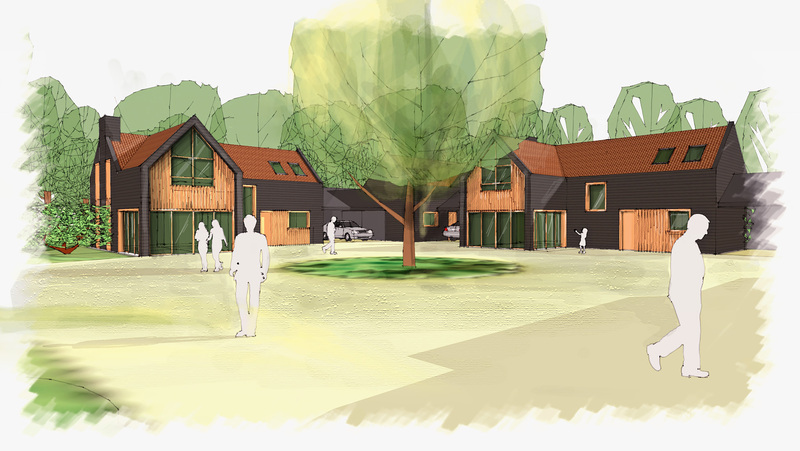 The brief for the project was to replace the existing industrial buildings with good-sized family homes within this serene countryside setting. Working closely with the planning authority's officers, the overall approach to the desing had shaped up. 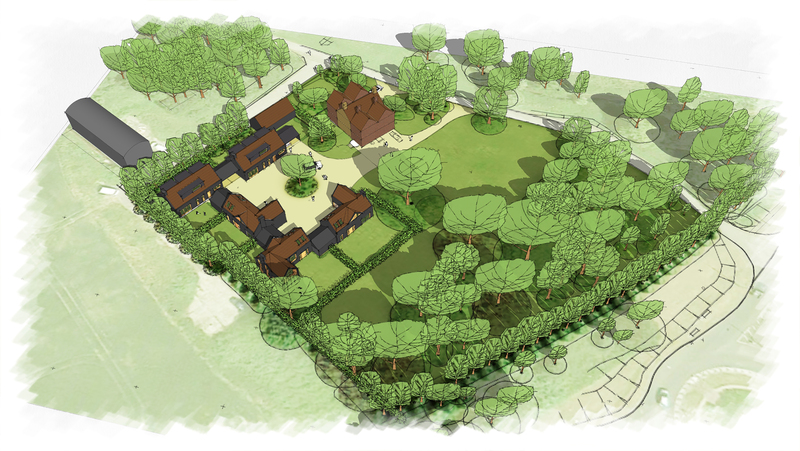 Reintroducing a traditional farm settlement arrangement of buildings on site with a central courtyard resurrects the historical character of the site. 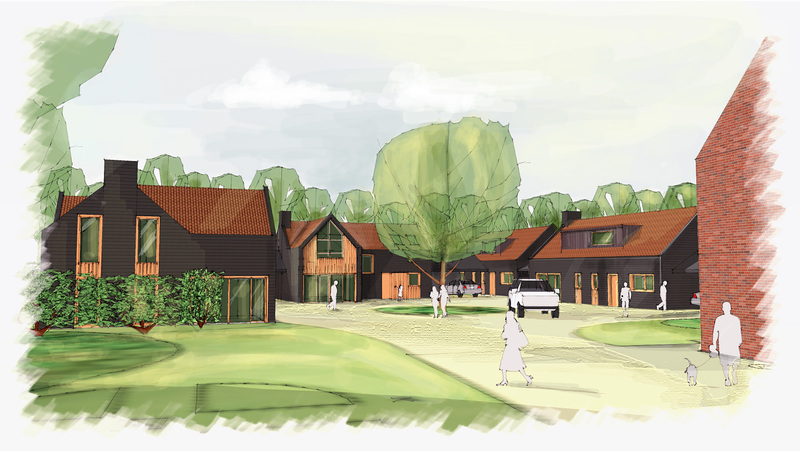 A mix of buildings varying in scale and footprint results in a rural richness of ondulating rooflines. With facades defined by steep roofs and primarily clad in timber, the proposed buildings represent a comtemporary interpretation of the rural and agricultural character of the region.